Join our local artist, The Textile Warrior, in creating some seeds for bees. Learn about bees and our environment, make and decorate your own seed packets, and seed-bomb our local area. 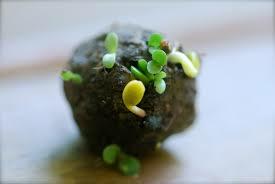 Meet at the Goodwood Library and walk to the Goodwood Community Green Space for our seed bombing activity. For ages 7+ years. Cheryll Johns is an Adelaide based illustrator, artist and author who is in creative whirlwind mode pretty much all of the time. Her goal in life is to create soooo many paintings that when hung together, they make the wall fall down. Join us at the April Young Creatives Group to meet and learn from Cheryll's creative experiences. Bring your own art or writing to show and tell. For ages 12-25 years. What kind of books to owls read? Hoo-dunnits! This is an owly-themed storytime. We'll read some owly books, sing some hooting tunes and make a craft to take home. We'll have a hoot of a time. For ages 2+ years. Plant seeds and plants in our heritage garden, then make and decorate a cardboard plant to take home. For ages 5-10 years. Join us for a walk around the village green and local area. Collect things you see along the way then return to the Museum and create a living landscape with found objects, paint, paper and other crafty things. For ages 5-10 years. Get up close and personal with nature in this nature based storytime. Watch us squelch through mud, sand and grass as we work our way through the outdoors. There will be a messy craft at the end. For ages 2+ years. Decorate your own small pot and fill it with a lovely succulent plant. All materials provided. Please wear old clothes or bring a painting smock. For ages 12-25 years. Cost $5, payable at time of booking, ph 8372 5100 or visit our Libraries. Please note there will be a break from regular Babytime and Storytime programming for the school holidays. We resume our regular programs with the start of the second school term.